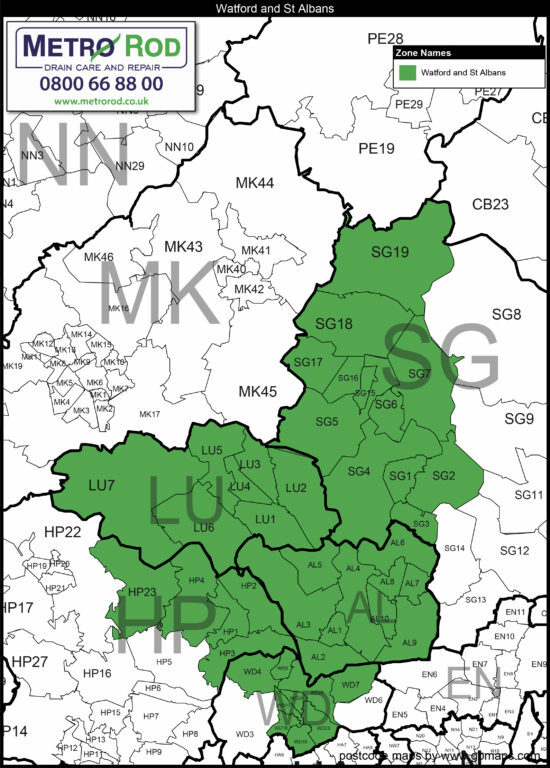 Here are all of the areas we cover from the Luton and Watford office. We are on call, unblocking drains, all day and night, every day and night, including Christmas Day! And we can also carry out a detailed CCTV drainage survey and clear your gutters. DEPOT FINDER to the right and this will direct you to your local office. carry out a CCTV survey or clear your gutters with our ‘Metro Vac’ system.